If you’re looking for something cute and delicious to surprise your kids with during the Summer holidays, then we have the perfect idea! 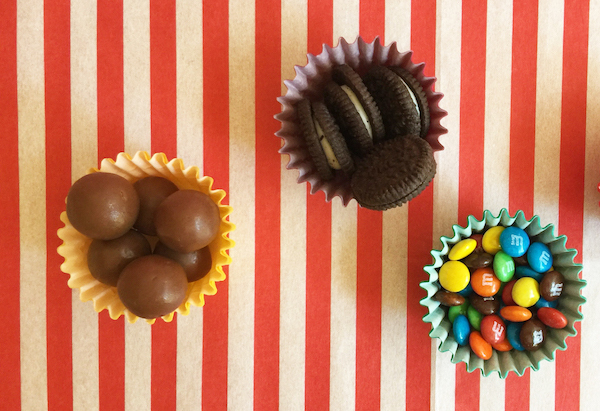 Not only are these very easy to make, they’re very adorable too. In fact, they’re so simple you could make them WITH your kiddos. Here’s the step-by-step recipe to guide the way. Remember to work quickly as you don’t want your koala face to melt. Have everything at the ready and set up a production line with your koala-loving friends and family. 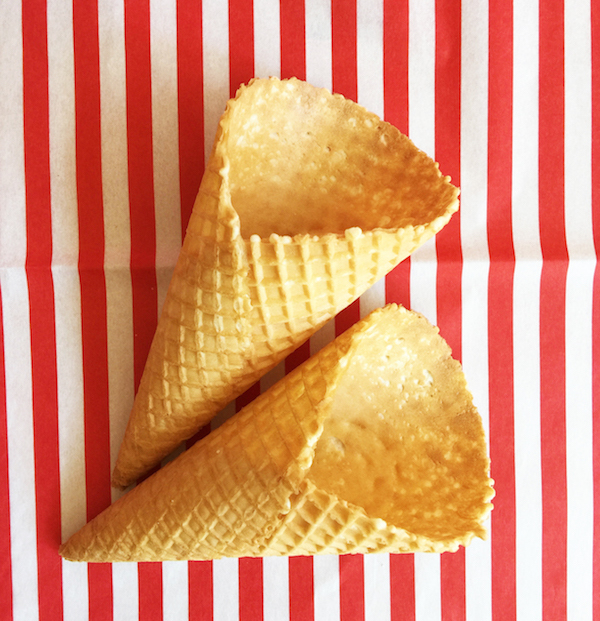 ice cream cones – we used waffle cones but you should use what your family loves the most! Step 1. 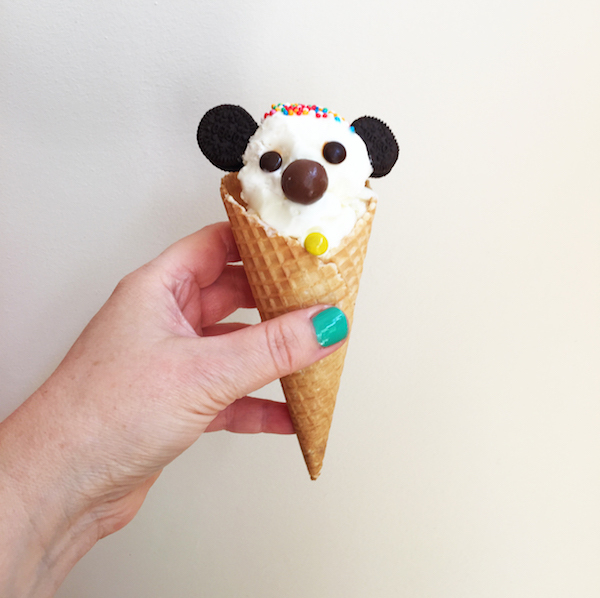 Get all your ingredients ready so you can whip up your koala ice cream cones quickly. Because … ice cream melts! Step 2. Pop two scoops of ice cream into the cone using an ice-cream scoop. Now work quickly. You can smooth out the ice cream with a butter knife if you want a neat surface, but we like our guys a bit rustic and quick. 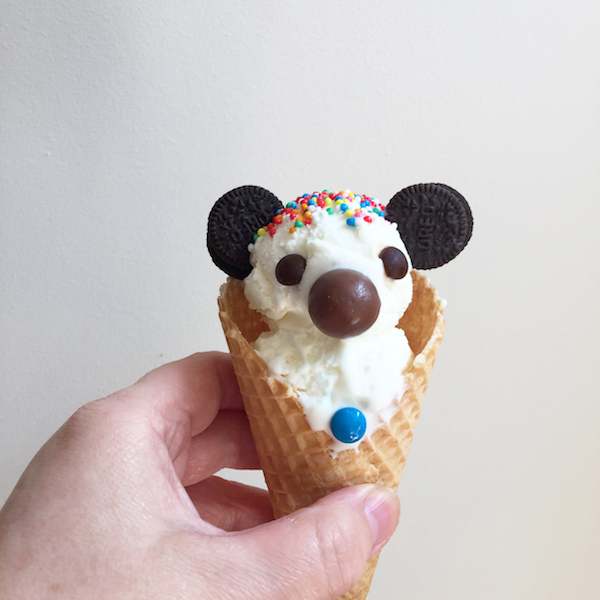 Koala ice cream cones here we come! Step 3. Dip the top of the ice cream into a bowl of 100s and 1000s. Just a light touch because you only want the top of the koala’s head covered. Step 5. Add the mini M&M eyes and a Malteser nose using our photos as a guide. The eyes work well if they are set quite wide, so note that. They look cute even if they are a bit wonky, so don’t try too hard for perfection. Try for personality instead! Step 6. Add a button or two to get that formal koala look. You could even add a mint leaf lolly if you want to get very fancy and koala-ish. Step 7. 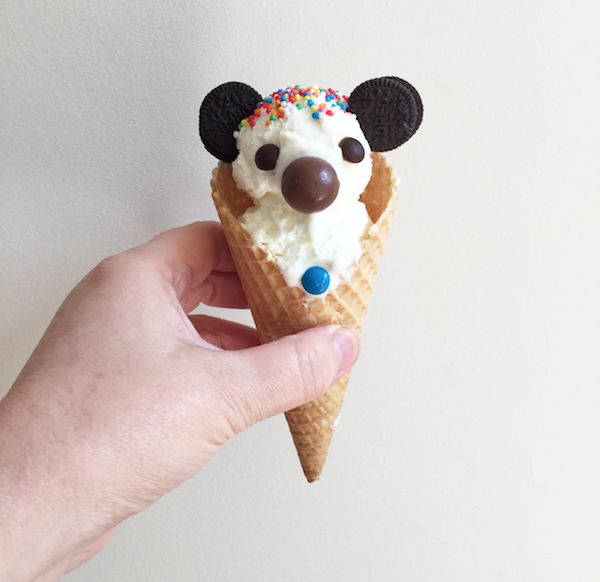 Give it to your favourite child or grown-up quickly – before your koala melts! Variations: Dip your ice cream in melted chocolate instead of 100s and 1000s. 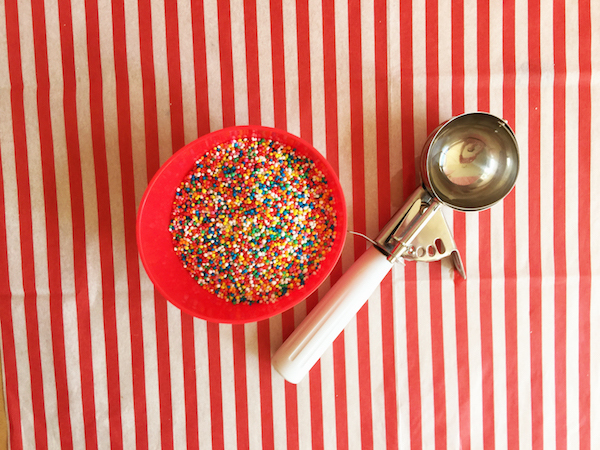 Try some different sprinkles. Make a chocolate ice cream version with a (full-sized M&M nose and light coloured mini M&M eyes – so they stand out.) Make a strawberry ice cream version for pink koalas!